A wonderful opportunity to participate with others in the world's greatest hobby, with events, meetings, technical learning, and friendship. A responsibility to observe respected standards in the commerce of toy train materials. Benefits include meetings, publications, opportunities to learn, and more! To join the TCA, click here for an application. Another benefit is special offers from TCA and affiliated organizations. HOA just got the info on the two special items (Polar Express Skiing Hobo Car & The Unique Lionel® VisionLine UP Challenger) that will only be available through the Lionel Collectors Club of America. Since most/all of you belong to both TCA and LCCA you may have already seen this info. If a person buys either or both they receive a free one year membership to LCCA or if they are already a member an extension of one year. Last year there was an exclusive Niagara Steam Engine that was only available through the club that was very popular. As we all know there are many members who belong to both organizations. There are also a lot of our TCA members who have the Polar Express set who will want this car. In the first email from the tcaozarkdivision@tca-ozark-division.org I mentioned that from time to time we would send out updates on Ozark Division activities. 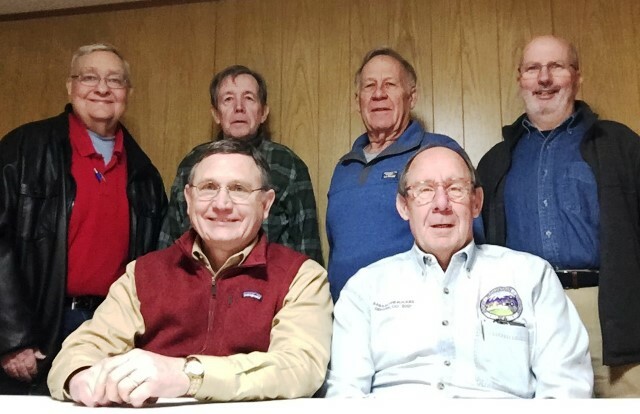 This email reports on the Chapter President’s meeting held in Columbia, MO on 01/26/19. Those attending were; Steve Dickerson, HOA Chapter President, Dennis James, Central Mo Chapter President, David Osborn, Gateway Chapter President, Jon Lundvall, Ozark Division Secretary/Treasurer, Brad Marples, First Past President Ozark Division and myself. 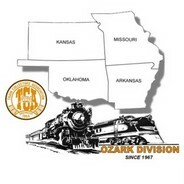 Jon will bring the 2004 Ozark Division History document up to date and Don will visit all 50+ year members of the TCA in the Ozark Division. David will develop plans to revitalize the Gateway chapter. Don and Jon will support David in his efforts through personal involvement and dedication of resources. Dennis, Steve and Brad will develop plans for inter chapter activities. These plans could take many forms, but one discussed was a “mini convention” hosted by the chapters on a revolving basis. Thank you all for your support of the TCA. Pictured below are seated left to right: Brad Marples, and David Osborn. Standing left to right: Don Miller, Jon Lundvall, Steve Dickerson, and Dennis James.